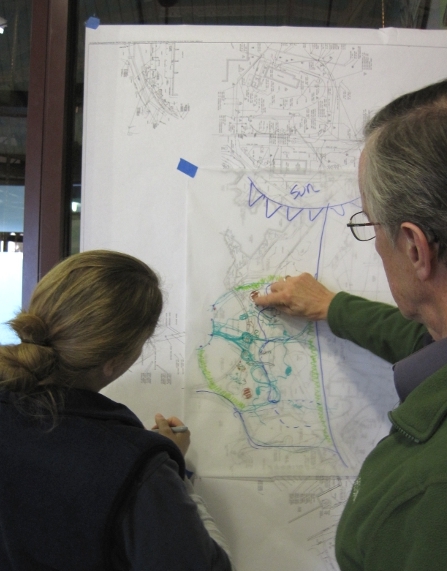 Sketching out exhibit layout ideas waaaaaay back when we first started designing Bamboo Forest Reserve. 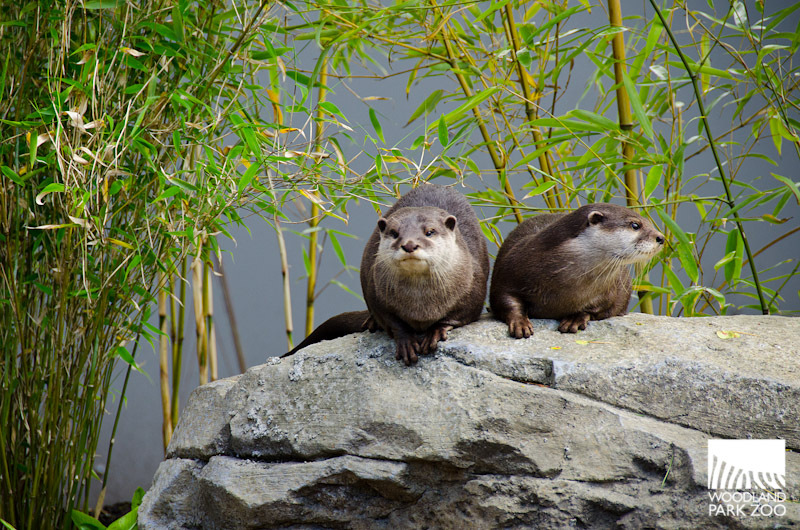 Designs for the new Bamboo Forest Reserve exhibit—including a new home for a pair of Asian small-clawed otters—started two years ago with a sketch on paper. 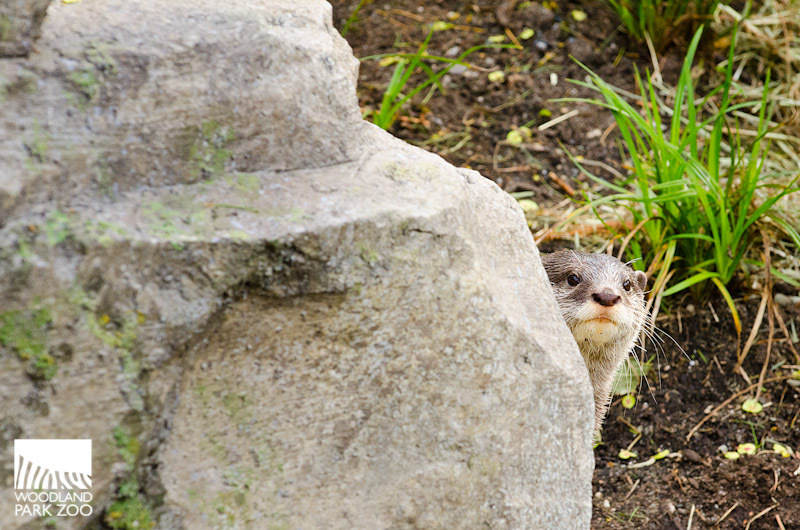 The otters slowly emerged into their new exhibit this week. Photo by Ryan Hawk/Woodland Park Zoo. Now that we’re seeing the design work turn into reality with phase one of the exhibit opening this weekend, we’re discovering that we aren't the only ones with ideas on how the exhibit should look. The otters have designs of their own! Tearing up the plants to make their bed. Photo by Ryan Hawk/Woodland Park Zoo. This week, the otters were introduced to their new home, and we watched them put the finishing touches on the exhibit themselves. 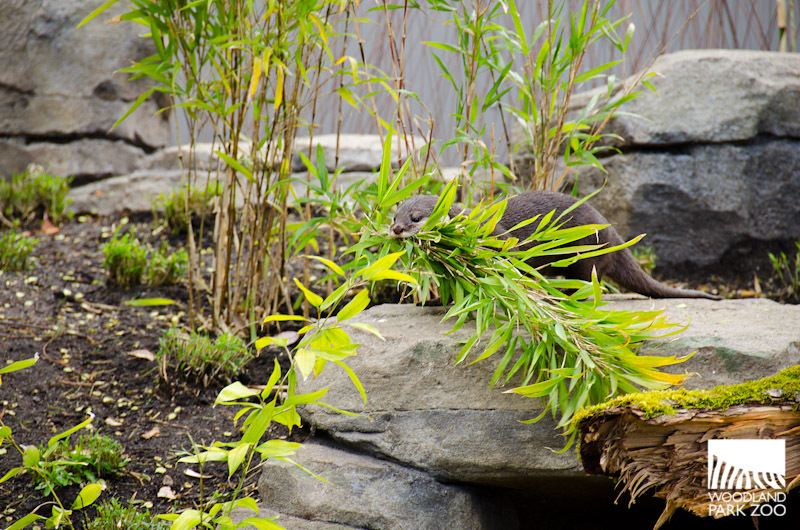 Video: Otters rearrange the plants. Produced by Ryan Hawk/Woodland Park Zoo. Narration by Caileigh Robertson/Woodland Park Zoo. They tore into some of the reeds and bamboo plants our horticulture team lovingly planted in the area. 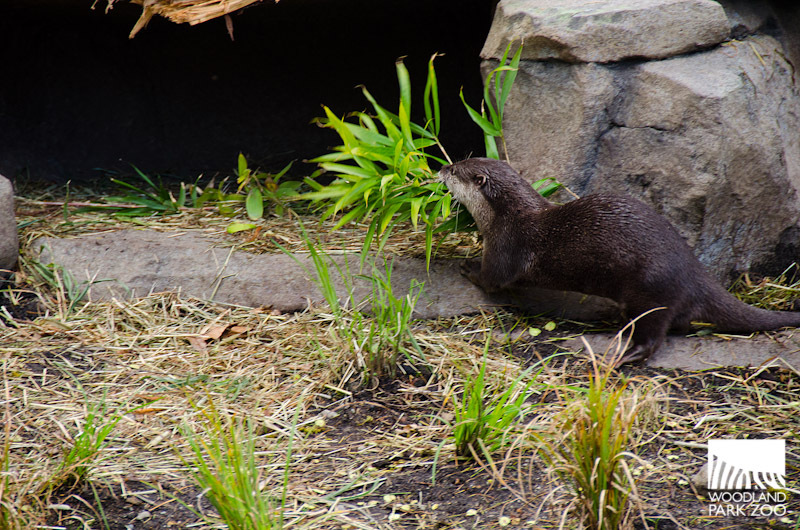 But this wasn't wanton destruction—the otters were actually plucking the plants and dragging them over to their covered den to lay them down as bedding. Bringing back some bedding to the den. Photo by Ryan Hawk/Woodland Park Zoo. To see them making themselves comfortable gave us great confidence that the otters are adjusting well and really settling into their new space, making it their own. The exhibit debuts with grand opening celebrations on May 4, including live music, giveaways, keeper talks and lots more. Join us this Saturday! awesome! can't wait to see it! Tiger Tails drawing contest winners!